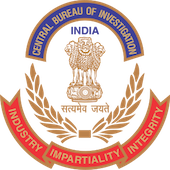 Online Application Details for Central Bureau of Investigation CBI Recruitment of 25 Inspector of Police is given below. Candidate's minimum education qualification for the Vacancies in Central Bureau of Investigation CBI should be Graduate / Bachelor Degree in any discipline. Officers under Public Sector Undertakings. Application form and duly attested documents are to be sent to Deputy Director (Pers. ), Central Bureau of Investigation, Plot No -5-B, 7th Floor, CGO Complex, Lodhi Road, New Delhi-110003. In envelope super scribed with 'Application for the Post of Post Name'.